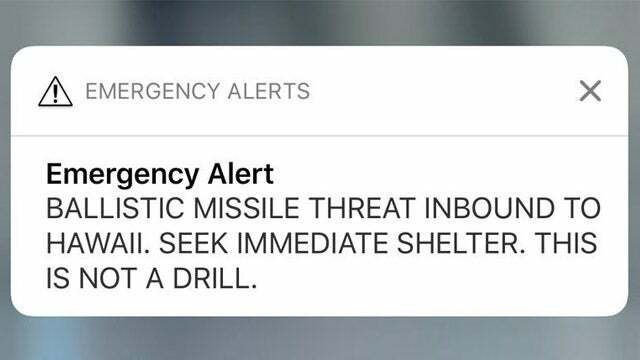 RUSH: Do you remember that false warning of a missile attack, a nuclear missile attack on Hawaii, and it took 37 minutes for the, “Hey, sorry, nothing to see here” message to go out? For 35 minutes, people in Hawaii lived in abject fear they were gonna be vaporized. 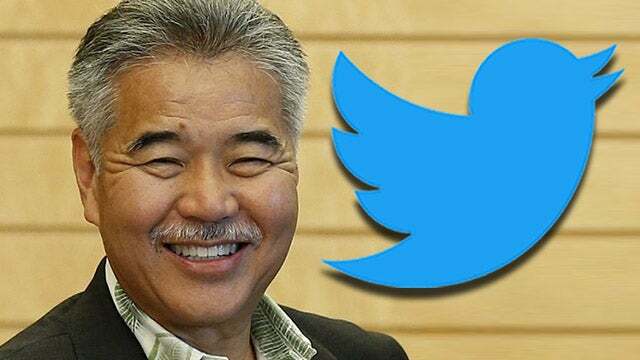 It turns out the reason it took that long is the governor couldn’t remember his Twitter password, and so he couldn’t log into his Twitter account to get the tweet out to Hawaii citizens that everything was okay; it was an all-clear. Why are they using Twitter anyway? But the governor couldn’t remember his Twitter password, and I guess he didn’t have a password manager that did the autofill. So he’s sitting there trying to figure out his Twitter password. He doesn’t remember it, doesn’t know where to go to find it. Do you all know that every password you use to log into websites and apps is on your iPhone? Do you know that you can find it on your iPhone? Every password you use. Without using one password, without using… It’s all in the iCloud key chain. Do you know that you can do this? (interruption) You do? (interruption) Do you know where to go find these passwords? Do you know that on your Mac you can do the same thing? (interruption) Yes, but if you can’t remember, if it doesn’t auto-fill in, do you know where to go to find a list of passwords for every app and account you have? (interruption) No. That’s how you do it on a Mac but, you know, it’s new now in Safari Preferences: Passwords. In the iPhone or the iPad, it’s called Accounts and Passwords and General Settings. And every password is there. But this governor apparently didn’t know that he could go somewhere and find out his Twitter password. Anyway, because of that — because the governor of the state couldn’t figure out how to get into his Twitter account — they couldn’t get a warning out any sooner. If you go to General Settings and scroll down to Accounts and Passwords, it’s right under Wallet and Apple Pay and right above Mail, and they’re all there. Now, they have to be passwords you use for websites and apps that are on any of your iOS devices. But if you can never remember one or if it doesn’t fill in automatically for whatever reason, that’s where they are.